What we know is that the first complaint of fibromyalgia is muscle pain and the primary reason ME/CFS patient seek treatment, is fatigue. Though in neither case is this where it stops. Fibromyalgia and ME/CFS do share some common comorbid conditions, and both are thought to have central nervous system disruption, however, disruptions are different between the two, and newer research is showing a stronger connection to viral, infectious and immune overload in ME/CFS, and research on FM repeats the findings of previous studies on the disruption of the hypothalamus-pituitary-adrenal axis, oxidative stress, which is also seen in ME/CFS, and the peripheral pain generation by myofascial trigger points that keeps the central nervous system sensitized to pain impulses. There are specific biological differences between FM and CFS/ME. Both are considered neuroendocrineimmune disorders, as is Lyme’s disease, Gulf War Syndrome, Lupus, and others. Though they fall under the same umbrella, they are different. We explain the differences and the similarities, why they are confused and the importance in having the right diagnosis in Chapter One, “All about Fibromyalgia, Chronic Fatigue Immunodysfunction—The Muster to Master, and Chronic Myofascial Pain—Nerve to Muscle, and Double Cross. There are also checklists for each disorder that you can use to inventory your symptoms and provide to your physician or other healthcare provider. There is also a glossary of terms that describe pain. 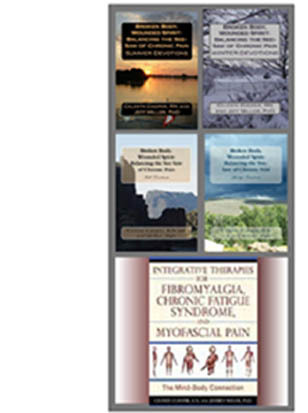 All blogs, posts and answers are based on the work in Integrative Therapies for Fibromyalgia, Chronic Fatigue Syndrome, and Myofascial Pain: The Mind-Body Connection by Celeste Cooper, RN, and Jeff Miller, PhD. 2010, Vermont: Healing Arts press are for educational purposes and not meant to replace medical advice. Basford JR, An KN. New techniques for the quantification of fibromyalgia and myofascial pain. Curr Pain Headache Rep. 2009 Oct;13(5):376-8. Bazzichi L, Rossi A, Massimetti G, Giannaccini G, Giuliano T, De Feo F, Ciapparelli A, Dell'Osso L, Bombardieri S.Cytokine patterns in fibromyalgia and their correlation with clinical manifestations. Clin Exp Rheumatol. 2007 Mar-Apr;25(2):225-30. Burgmer M, Gaubitz M, Konrad C, Wrenger M, Hilgart S, Heuft G, Pfleiderer B.Decreased gray matter volumes in the cingulo-frontal cortex and the amygdala in patients with fibromyalgia. Psychosom Med. 2009 Jun;71(5):566-73. Epub 2009 May 4. Carvalho LS, Correa H, Silva GC, Campos FS, Baião FR, Ribeiro LS, Faria AM, d'Avila Reis D. May genetic factors in fibromyalgia help to identify patients with differentially altered frequencies of immune cells? Clin Exp Immunol. 2008 Dec;154(3):346-52. Irwin M, McClintick J, Costlow C, Fortner M, White J, Gillin JC. Partial night sleep deprivation reduces natural killer and cellular immune responses in humans. FASEB J. 1996 Apr;10(5):643-53. Lekander M, Fredrikson M, Wik G.Neuroimmune relations in patients with fibromyalgia: a positron emission tomography study. Neurosci Lett. 2000 Mar 24;282(3):193-6. D. Racciatti, J. Vecchiet, A. Ceccomanncini, F. Ricci, E. Pizzigallo, “Chronic fatigue syndrome following toxic exposure,” Science of the Total Environment, Italy 270, no. 1–3 (2001): 27–31. Smits B, van den Heuvel L, Knoop H, Küsters B, Janssen A, Borm G, Bleijenberg G, Rodenburg R, van Engelen B.Mitochondrial enzymes discriminate between mitochondrial disorders and chronic fatigue syndrome. Mitochondrion. 2011 Sep;11(5):735-8. Epub 2011 Jun 2. 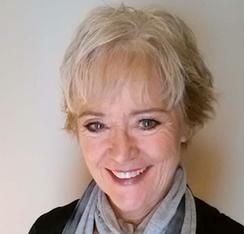 Woynillowicz Kemp, Anne-Marie B.A., Dip.T., M. Ed. “Highlights of Dr. Daniel Person’s presentation to medical practitioners. Myalgic encephalomyelitis/Chronic Fatigue Syndrome” – The Research Frontier. Calgary: April 29, 2011. Thanks for sharing such a great post. The surgeons at hospitals in India are all highly trained and experienced providing world-class medical care is carried at the highest standard of quality medical treatment & patient care using most modern technology available. It's is good to read others comments and not to feel so all alone. I had mono over 10 years ago and have fought CFS since then. My doctor first sent me to see a psychiatrist but I knew I wasn't depressed, I just felt terrible. I still fight this. My doctor tells me not to get stressed. My mother died a few months ago, I fell off a horse and fractured my neck badly, my brother is going to federal prison, I lost my job, I am losing my health insurance, lost two dogs and a horse in the last few weeks, and now I sleep 16 hours a day. I can't get anything done, and hope no one thinks I'm being lazy. My sister swears on Standard Process Dramamine, but it only helps me a little. I'm on Lipitor and my legs kill me at night. Sleeping pills don't seem to work for me. Now I just pray for help. Thanks for listening (reading) because I feel a little better right now. Best wishes to everyone who fights this condition. Desiccated porcine tablets has helped them manage their thyroid problems while losing extra weight and feeling more energized and less burdened by life’s daily stresses.